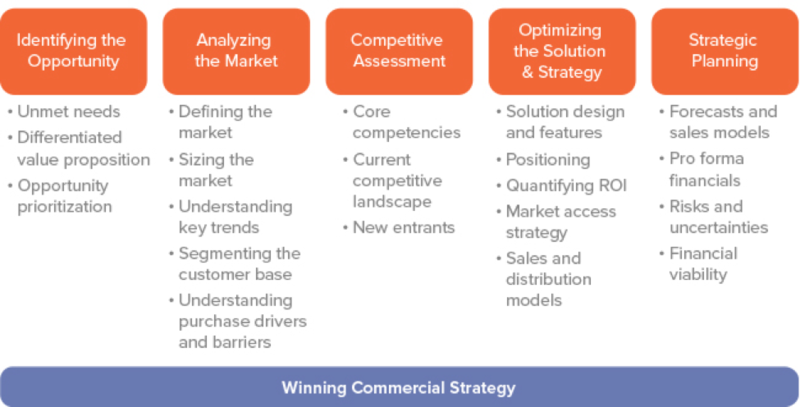 Your Business Strategy: Does it Contain These Essential Components? I’ve always likened entrepreneurship and starting your own business to diving headfirst off a cliff and figuring out how to build yourself a plane on the way down. It takes a really special sort of mentality to start your own business. You have to have vision, creativity, grit and incessant dedication. 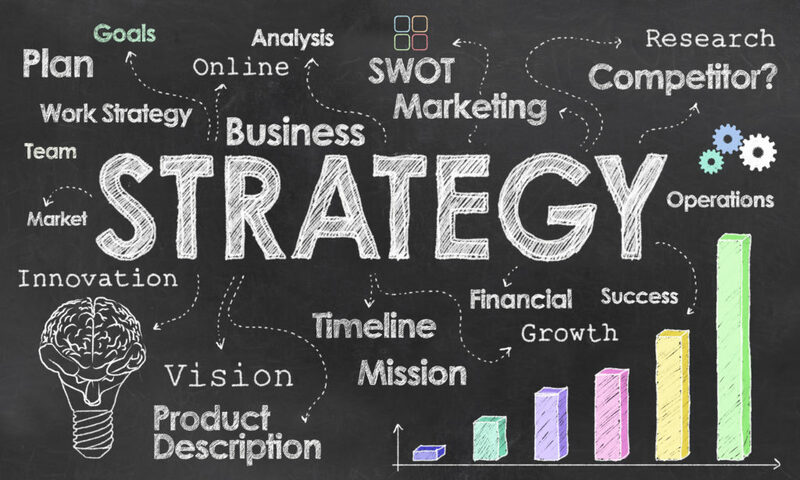 However, the truth of the matter is that all too often one of the most important aspects of a business are thrown to the wayside by many entrepreneurs – the business strategy. Now, don’t get me wrong – I get it – so many of us are just passionately driven maniacs who thrive off of the unknown and have a limitless amount of self-assurance. We get ourselves into a niche, we’re doing okay (but not great) and we get complacent with the little spots we’ve carved out for ourselves. Pretty soon it’s easy to lose sight of the grand scheme of it all and long-term sustainability. This is why creating an effective business strategy is so essential. You see, It’s not enough to just make it work. It’s not enough to even just be successful. After all, what is the point in dedicating the majority of your waking hours, endless blood, sweat, tears and lost sleep only to end up struggling for the rest of our lives to just keep the machine on track and make ends meet? Simplicity and alignment are key. They say the most effective business strategies are the ones that seem the most obvious pretty much as soon as you look at them. When it comes to business experts, strategic consultants and successful businessmen all over, there is one resounding tenet they all keep repeating. Despite what many may think, it’s not the complexity of a strategy that determines the success, but the alignment of it. Making sure your strategy is well aligned with your target demographic, your business identity and its offerings is key to your success. Furthermore, alignment within your business, alignment with structure, alignment with vision, alignment with tactics and communication are all essential. Alignment is the glue that holds it all together. It’s the oil that keeps the machine running smoothly. 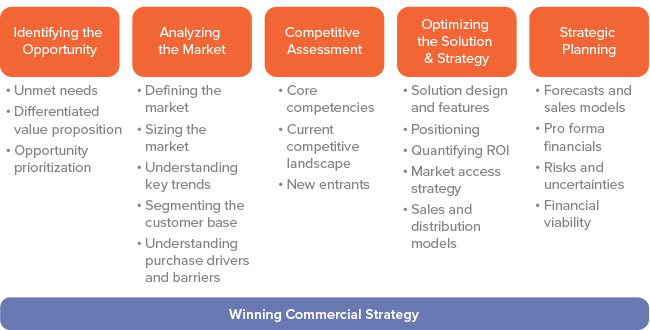 In the three essential steps that will be discussed as necessary components to a killer strategy, alignment is essential not only in between each of these steps, but within each of them individually as well. According to Forbes, just 65% of businesses have an agreed-upon created strategy. That means that an insane 35% do not – just let that sink in. It’s absolutely essential to ensure that the alignment of your business strategy starts at the top and flows all the way down. Alignment from the very beginning when it comes to the creation of your strategy, the vision, the mission and the various objectives decided on to carry these out are essential — especially at the senior level. The good news is that knocking out the first step is the biggest part. Don’t get me wrong, communication and execution are absolutely, if not equally essential, but a well-created plan from the get-go should help it all flow into action. Can you imagine trying to put together a thousand-piece puzzle you pulled out of a Ziploc bag? Without the box, the cover, the full picture – you’re setting yourself up for a whole heap of a mess. The same is true when it comes to your vision and how it affects your strategy. So get it straight and create a vision statement to help clarify the path, future and goals of your business. Your vision statement describes your purpose on a holistic level. It helps keep your strategy in check, effective and gives your actions direction so you don’t get off track in the day to day grind. This is why it’s absolutely essential. Your mission statement is much like your vision statement in the sense that it defines your primary goals. However, it differs in that it is a more focused look that shows you what needs to get done in the right here and right now in order to fulfill your business’ long-term vision. 3) Whom do we do it for? 4) What value do we bring? Everything from the business identity to the market and your offering must be lined up in a crystal-clear manner. Just think for a moment about how a business could possibly create an effective strategy in the absence of any one of these three things. Without proper identity, a business lacks focus and direction. Your business offerings and target market are fundamentally created around your business identity. Without a precisely targeted market, your strategy will fail regardless of how killer it is because you’re not getting your business out in front of the right people. AARP isn’t dumping the bulk of their marketing budget into Instagram and Snapchat for a reason. Last but not least, if your offerings aren’t properly lined up with your identity or target market, your business is headed for long walk off a short pier. Take it from Seth Godin, when it comes to hashing out and aligning these basic concepts, precision is key – right up there with alignment. You can’t do everything at once and focusing on the narrowest most precise demographic and offering/service is the best bet to success. When organizing and creating your strategic objectives, the stepping stones to fulfilling your mission and vision, feedback and input will be crucial and you should be sure to keep in mind “factors such as KPI’s, resource allocation and budget requirements”. 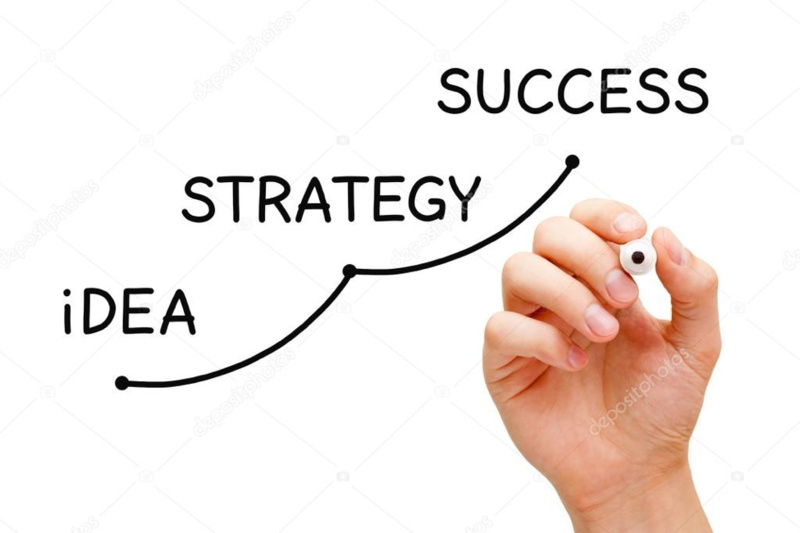 The second element in creating an effective business strategy may not be nearly as lengthy as the first, but it is just as essential in determining your success. Npw, if you’re a small business or startup with one or two employees, then this element will be much more simple to orchestrate and properly align. Communication is absolutely essential in the creation and execution of any successful business strategy. 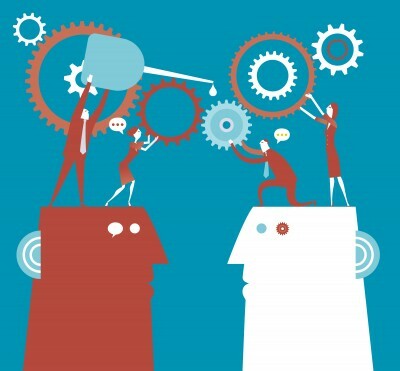 However, it’s important to note that communication is ideally at its best both inclusive and fluid. A recent Forbes article noted that just a measly 14% of employees understand the organization’s strategy or how their actions play a role in the execution of it. As the head of your operations, you need to make sure that everything from your vision, mission, objectives and tactics are clearly communicated on. In fact, employees should ideally play a role in how the strategy is carried out because they will play an indispensable role in its execution. As a result, it’s essential that the espoused beliefs of your business are in perfect alignment with your enacted beliefs. Open and honest communication and feedback facilitated productivity and engagement. Also, don’t just stop with the operational aspects, communicate with regards to successful achievement of objectives and give positive feedback and criticism on areas of improvement. By keeping your employees actively engaged and participating you’re effectively priming the innerworkings of your business for long-term success and sustainability. So don’t be the 50%+ business leaders that fail to “understand the return on their investments in human capital”. Facilitate open and inclusive communication every step of the way to foster engagement and incite innovation. Alright, so you’ve gotten clear on your purpose, vision and the steps you need to take in order to achieve the tangible goals that you’ve set for yourself and your company. You’ve established open, honest lines of communication and feedback and have worked hard to give your employees an active voice in the process. The good news is, you’ve done a solid amount of legwork – now it’s time to put your money where your mouth is. Forbes declares this step as “the only step of the process that can produce desired business outcomes”. Helena Nyman notes how research has repeatedly shown that less than 10% of all organizations are able to successfully execute their strategy and much of this has to do with issues surrounding alignment and communication with the leaders of businesses and the rest of their workforce. 1) Focused priorities. Keep them precise so that you can concentrate your resources effectively. 2) An abundance of data. Collect it and analyze it for insight into your processes and ways in which you can improve them. 3) Consistency in communication. 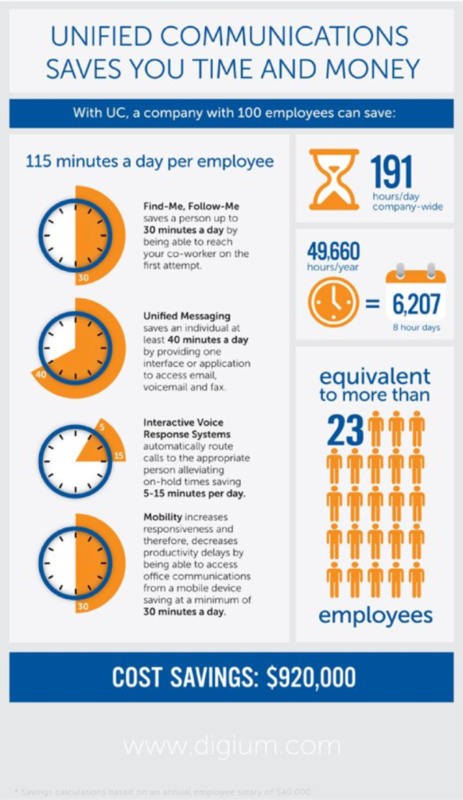 Whether it’s daily, weekly or monthly meetings, keep a rhythm to your communications to keep everyone on board in sync. 4) Constant evaluation. Decide upon periodic intervals to assess and reassess your strategy and processes for maximum effectiveness. Developing an effective and precise business strategy isn’t optional – it’s essential – and the survival of your business and your livelihood are hinged on its effectiveness. However, it’s imperative for every entrepreneur out there to also understand that long-term success doesn’t just begin and end with a killer strategy. If you want to avoid being the 90% of businesses that fail in spite of a well-planned strategy, then you’re going to have to get serious about ensuring that it’s well-executed. Remember Global Leadership and High Performance Advisor Helena Nyman – it all starts with you. So get yourself on the path to long-term sustainability and unprecedented effectiveness by using these tips to craft a killer business strategy and knockout your execution.